Executives from Lloyd’s of London said today that they welcome and want to work with the UK Government’s new insurance-linked securities (ILS) regulatory and tax framework, but at the same time warn that the UK ILS regulation is actually likely to increase the price pressures that its market participants face. With specialty insurance and reinsurance prices having declined steadily in recent years, in some cases as much as 40% to 60% in five years for certain lines and particularly catastrophe exposed treaties, underwriters at Lloyd’s have faced increasing pressures and rising levels of competition. That’s led to a desire to make the Lloyd’s marketplace more competitive and efficient, in order to make its business model sustainable over the longer-term. 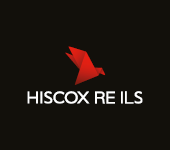 The introduction of the UK’s ILS framework has been cited as something that will make London more competitive and has often been pitched as an opportunity for the London insurance and reinsurance market to capitalise on the growth of ILS and ensure it is not missing out on business that could have been placed there. 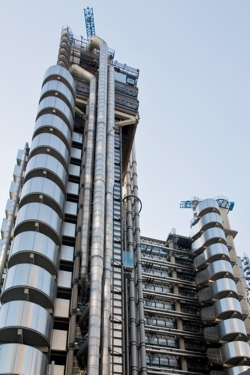 Lloyd’s itself has said it may look to utilise ILS as an additional layer of protection for its central fund, having run a “no-deal roadshow” which CFO John Parry said had garnered it significant interest from ILS investors and funds keen to participate if a deal comes to market. Whether Lloyd’s will look to ILS through the UK regs or another avenue, or another capital structure, to secure the mooted £1 billion (according to investor contacts that sat in on the roadshow) of additional financial support, remains to be seen, with plans expected to continue to move forwards into 2019. But the effect on Lloyd’s, if the London ILS regulations gain significant traction, could actually be detrimental to it in the short-term, the Corporation believes, adding additional pressure on the underwriting businesses already struggling to make their costs-of-capital in the market. As ever with Lloyd’s it seems, market trends provide both opportunities as well as threats, and with ILS it looks no different. The use of an ILS structure to back up the central fund at Lloyd’s would be an efficient way to source reinsurance backing, while effectively extending and augmenting the ability and financial reach of the marketplace. But as ILS use grows among players at Lloyd’s and due to the potential use of ILS by Lloyd’s itself, the price attached to risk will likely remain depressed, as lower-cost capital finds increasingly efficient ways to enter and work with the market. Hilary Weaver, the Chief Risk Officer at Lloyd’s, explained in the corporations annual report, “2017 saw the introduction in the UK of a new regulatory and tax framework for insurance linked securities (ILS). ILS is already an established form of risk transfer. But while Lloyd’s is keen to encourage greater use of the London and UK ILS structure, the ramifications of it gaining greater adoption could be interesting to say the least for some of the markets players. CRO Weaver warned this morning, “The new UK ILS regulation will, if anything, increase the already abundant supply of insurance capital. Of course this would be a factor for Lloyd’s whether the UK ILS regulations existed or not. The continued growth of ILS, then ongoing interest shown by the capital markets in investing directly in insurance and reinsurance risks, and the continued overcapitalisation of traditional re/insurers, are all destined to ensure the pressure remains on Lloyd’s and its underwriters. But Lloyd’s needs to be seen to be open to ILS and alternative capital, encouraging it to engage with it and work with the market, or risk being left behind. Increasingly, syndicate capital providers are often similar, or the same, as capital providers to the ILS market. Both ILS funds and syndicates court the same type of institutional investors, offering risk-linked returns, although in ILS the expense component can often be lower. Lloyd’s is therefore in a bit of a tricky position, in respect to ILS. It may need to utilise an ILS structure itself and it wants to encourage its members to support and use the UK ILS regulatory regime and resulting structure, but at the same time that is letting capital providers in through other routes, a backdoor of sorts, which may not be to the benefit of its members in the long-run due to the pressure this capital will place on pricing. Strategic difficulties, political concerns and competitive issues aside, Lloyd’s does need to embrace the more direct application of institutional capital to risk, which still ensuring it and its members get paid for their intellectual capital and expertise. Beale noted today that “pricing remains under considerable pressure” and the markets annual report explains that while there remains a focus on pricing in the loss-affected regions and accounts affected by the 2017 catastrophe events and other lines show some signs of pricing turning, capital is going to be the deciding factor in the future market pricing trajectory. “The continuing supply of risk-taking capital globally is likely to act as a constraint on the scale of price increases in 2018. It is estimated that reinsurance capacity at year end 2017 is actually slightly up on 2016 (ie this did not reduce post the catastrophe events in the second half of 2017), and some of this increase is due to additional capital from non-traditional providers,” the Lloyd’s annual report warns. With ongoing price pressure expected in insurance and reinsurance markets, at a time when the London market and UK government is pushing hard for its ILS regulations to be used more meaningfully, Lloyd’s faces continued challenges and the need for expense and process efficiency is only going to rise as a result. At Lloyd’s, the need to do things differently has been evident for some years now. Embracing ILS and alternative capital was seen as a step in the right direction, but in the near-term it could make things even more challenging in some ways. The fact is that as insurance and reinsurance faces massive change in years to come, not lease from technology, the rise of the insurtech start-up, capital markets and ILS participants, as well as the new electronic marketplaces that will pop-up in the future, so too does Lloyd’s. In fact the challenges faced by Lloyd’s come with hundreds of years of history, which as with every major institution means change can be particularly painful. But the outcome of enduring this could be even more rewarding we believe, as Lloyd’s still sits in a unique position of being a risk market steeped in expertise, with the access to risk that capital providers want, and so is well-positioned to take advantage of the evolution of re/insurance. Just so long as the brave decisions are taken and acted on, even though not everyone is going to like the change that is coming at an ever increasing pace.